Choose a practical and fun gift for your school counselor. Post it notes, file folders, and planners are practical gifts for school. Mugs, drink tumblers, and tote bags can all be personalized with name. 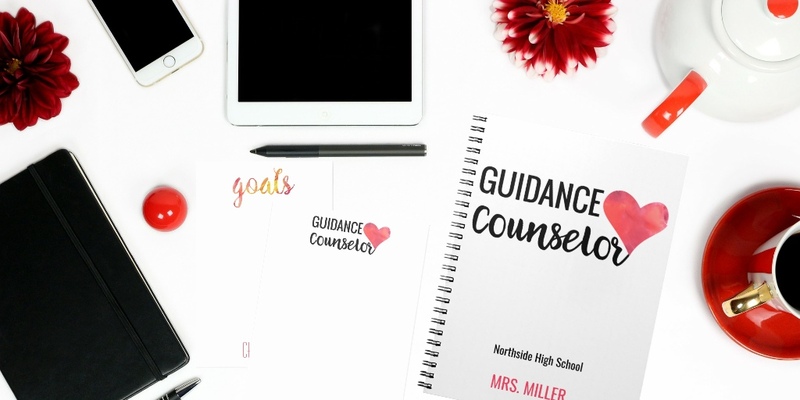 Pretty watercolor red heart and the words Guidance Counselor are written in black above name.